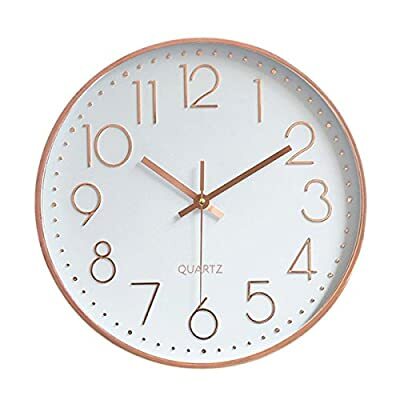 Silent Non-ticking Wall Clock: Precise Quartz Sweep Movement guarantees accurate time and absolutely silent environment. 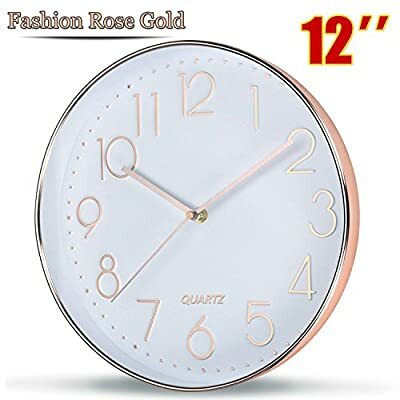 Elegant Design: Rose gold color frame makes it the perfect decorative wall clock for office, living room, classroom, bedroom, bathroom. 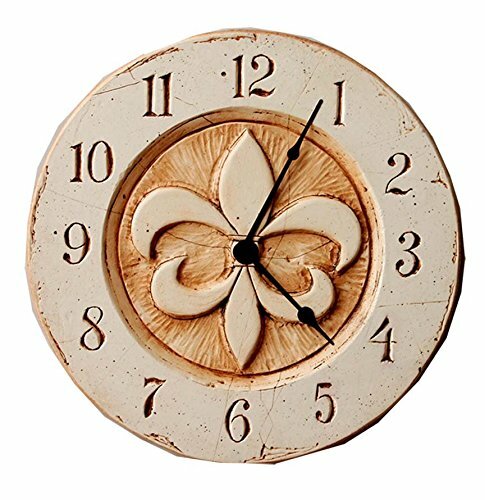 Unlike other using cardboard as clock background that easy damaged in moisture and wet season, this clock back base are made of solid plastic, therefore remain well function and dry in any weather condition. 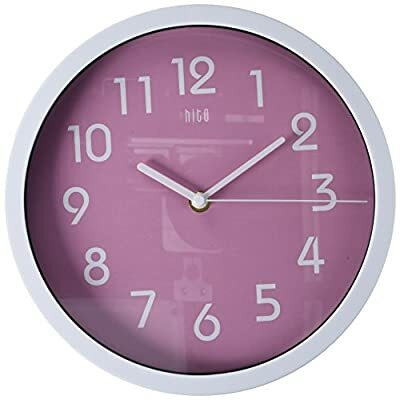 Easy to Read: Silent wall clock with large numbers are clear to read, front glass cover guarantees perfect view and keeps dust away from dial. 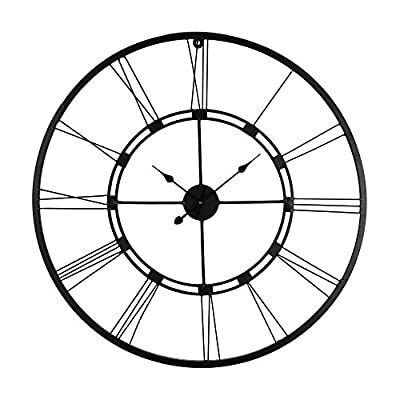 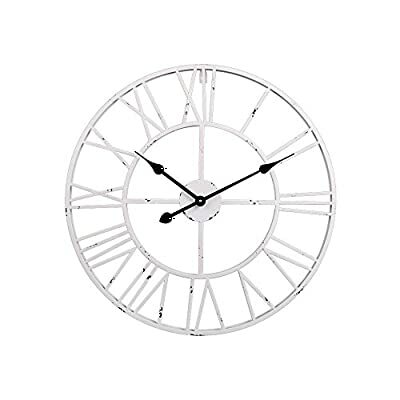 Bundy Wall Clock, Available in 8 Sizes, Most Sizes Ship The Next Business Day, Whisper Quiet. 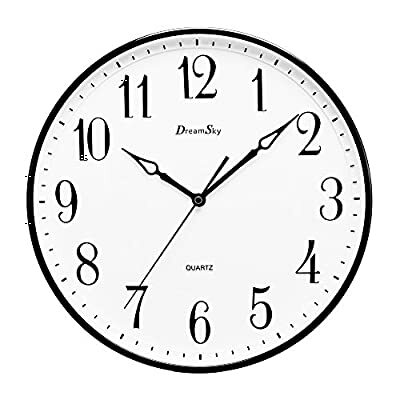 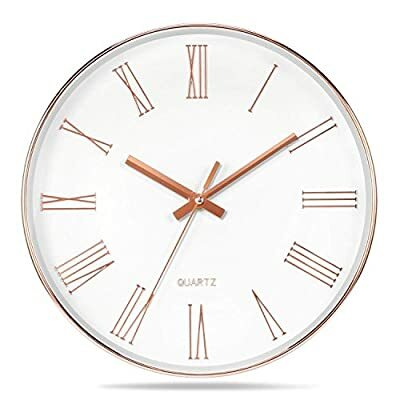 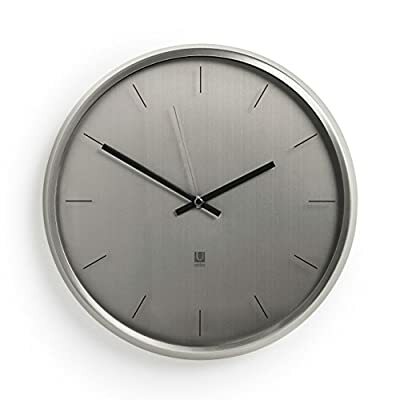 Extra Large 13 1/2 inches basic quartz analog wall clock, quiet smooth continuous-sweep second hand movement ensure a good sleeping and work environment. 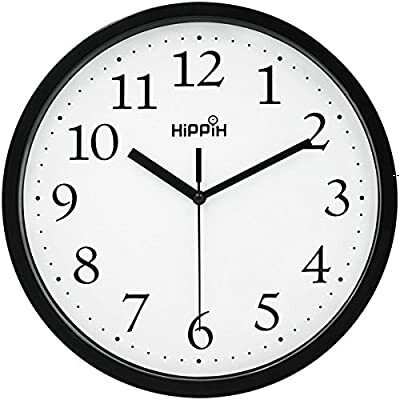 Perfect clock for home, office, library, nursey and classroom – any place accurate timekeeping is needed. 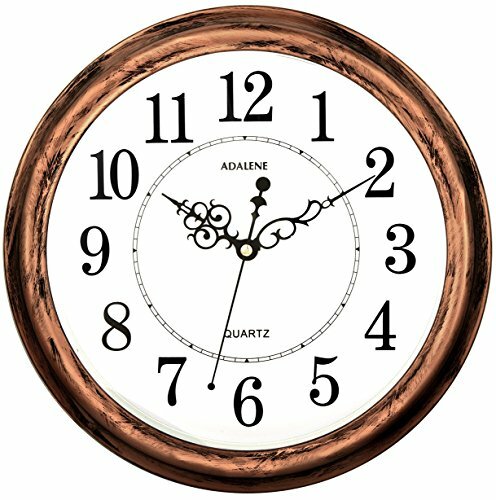 Big and vintage Arabic numerals indicate at every hour and minute tracker make it easy to see from any corner of your room. 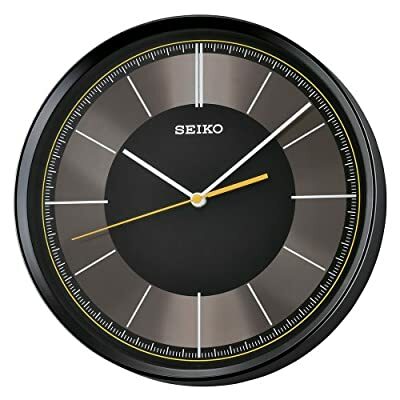 Simple yet elegant design boasts a satin finish that is well suited for virtually any room decor. 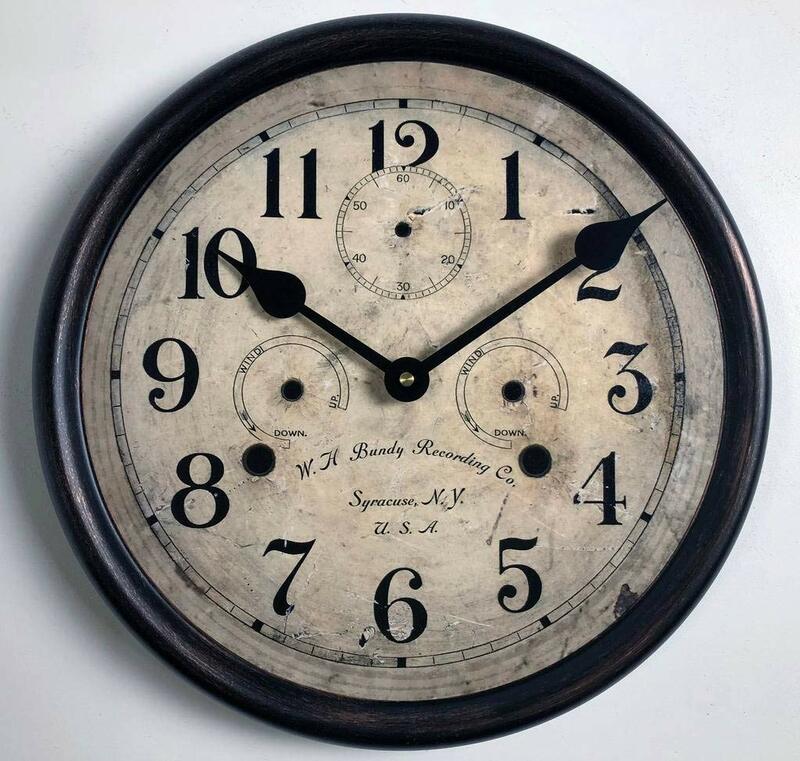 High standard mechanism used to track time more precision. 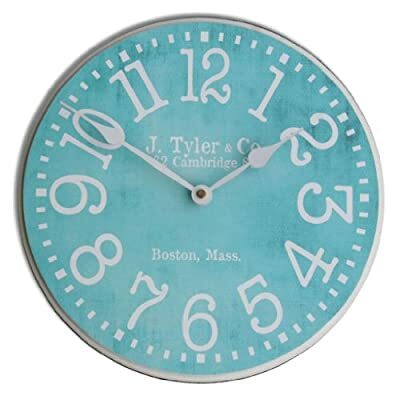 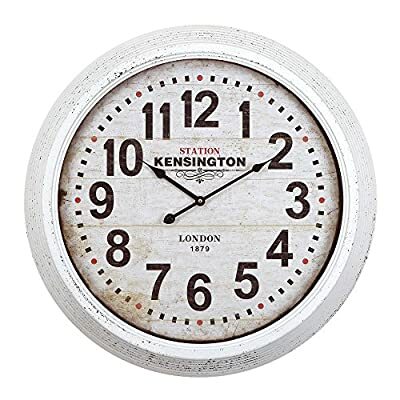 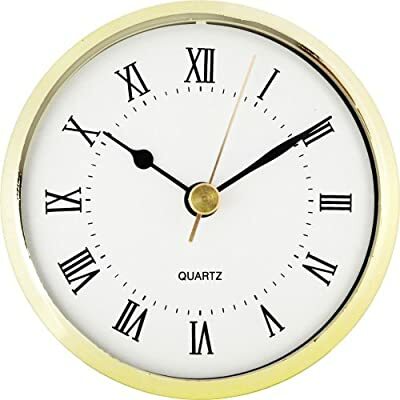 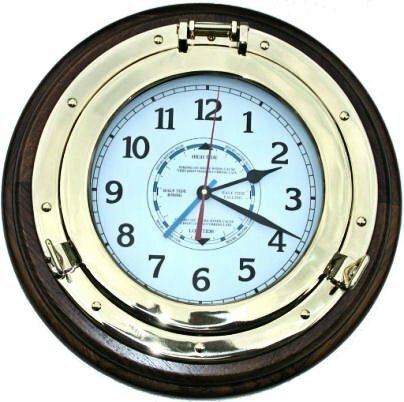 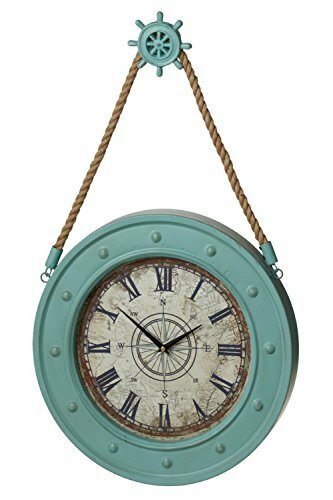 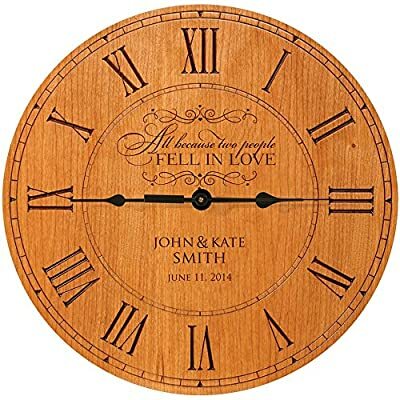 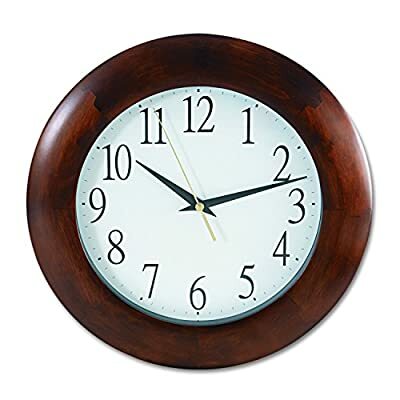 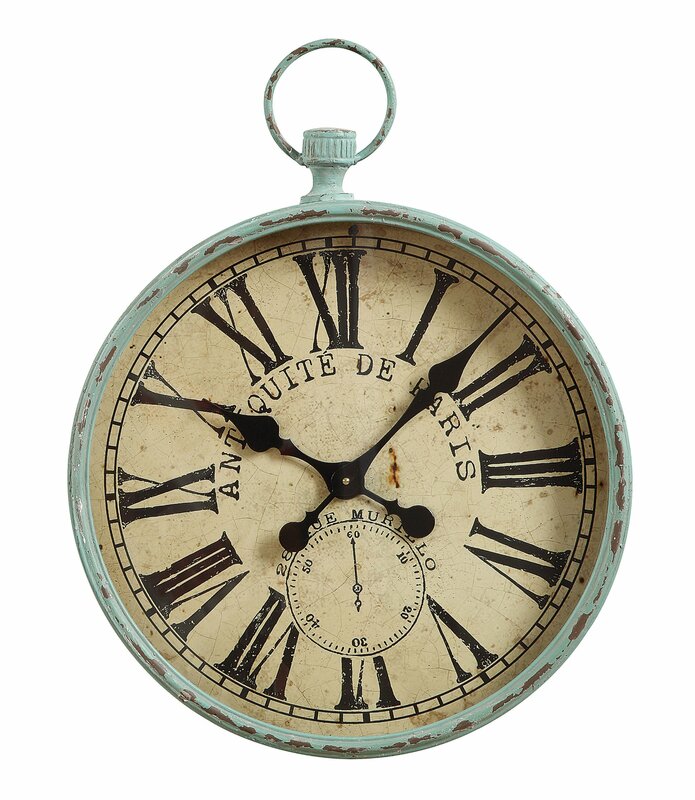 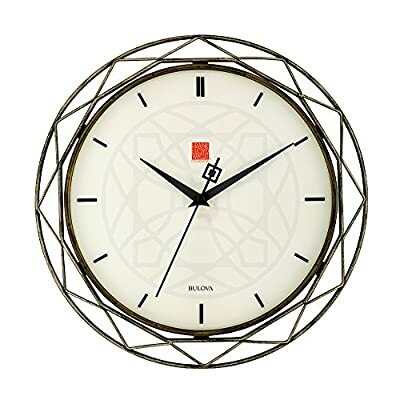 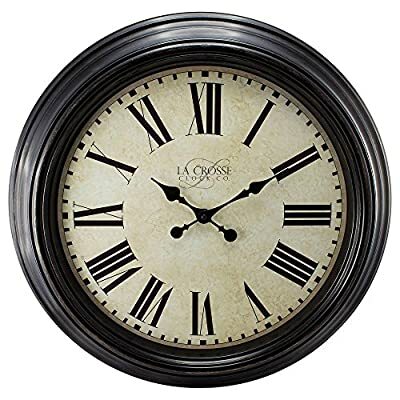 This ABS-framed wall clock measures 12 inches in diameter,1.4″ Deep.The large decorative wall clock is perfect for office ,living room, classroom, bedroom, bathroom.